Liverpool’s midfield excelled against Porto and Jordan Henderson has found form higher upfield, meaning Jurgen Klopp has a big decision to make vs. Chelsea. Having spent most of the last two seasons as a deeper-lying player in the centre of the park, the captain has been rejuvenated of late after reprising his No. 8 role from previous campaigns. Naby Keita has also returned to some prominence, scoring twice in successive matches after a long period without a start. 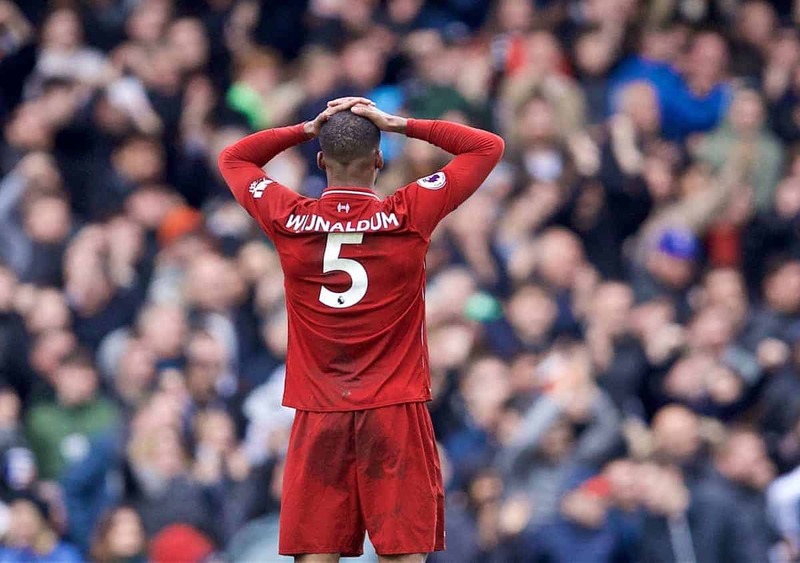 Together with Fabinho‘s increasing importance to the team, it meant Gini Wijnaldum was an unused sub against Porto; a well-deserved break for the Dutchman, who has been superb for much of the campaign—but has looked off the pace recently. The choice in midfield for the Reds’ match on Sunday could initially seem to be between that quartet—but the ever-reliable James Milner is often a man Klopp turns to for the biggest of fixtures. With such options now in form and available, it’s arguably Klopp’s hardest and most important selection of the season for the match against Chelsea. This Is Anfield’s Karl Matchett (@karlmatchett), Matt Ladson (@mattladson), Jack Lusby (@jacklusby_) and James Nalton (@JDNalton), along with Reds fans Shamik Mukherjee (@Shamik_YNWA), discussed the pros and cons of bringing Wijnaldum back into the side and give their preferred midfield lineups for the crunch match at Anfield. I say yes, Wijnaldum starts, more so because he was rested in midweek against Porto. The Dutchman has played a lot of football, far more than any other midfielder for the Reds this season, especially with always playing the full 90 for the Netherlands. It’s also Chelsea—and Eden Hazard—so I’d be more inclined to go more defensive-minded in order to protect the full-back areas. Midfield vs. Chelsea: Fabinho, Henderson, Wijnaldum. I was in two minds over this, but given Gini’s had a back problem this week I’d suggest he starts on the bench. 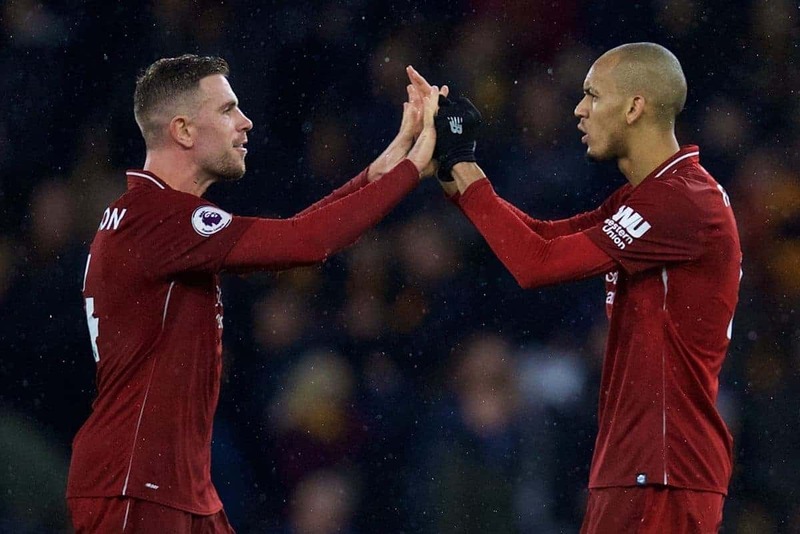 There was so much control in the midfield against Porto, and both Henderson and Keita should really be rewarded for their performances in the more advanced roles. 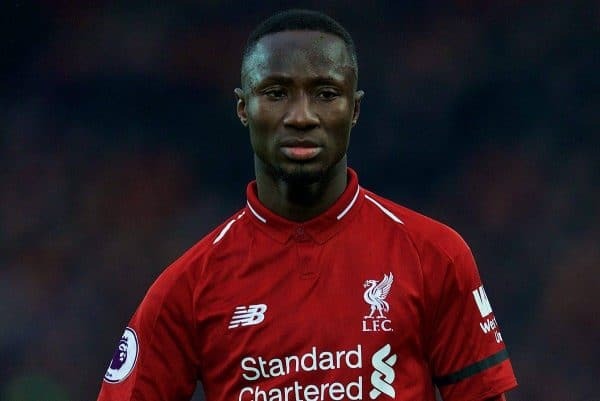 For Keita in particular this could be a defining moment: we’ve barely seen him shine against the ‘big’ clubs so far, but now he’s hitting form and clearly boosted in confidence, he could run the show against Chelsea. I expect Klopp is considering Milner now Robbo is back at left-back, but he and Gini should be named on the bench—particularly if Moreno is still out and we need to restore order late on. Midfield vs. Chelsea: Fabinho, Henderson, Keita. Liverpool should stick with the midfield which has served them well in recent games. The balance feels right with Fabinho, Henderson, and Keita, with the latter pair in good form in the more advanced roles. 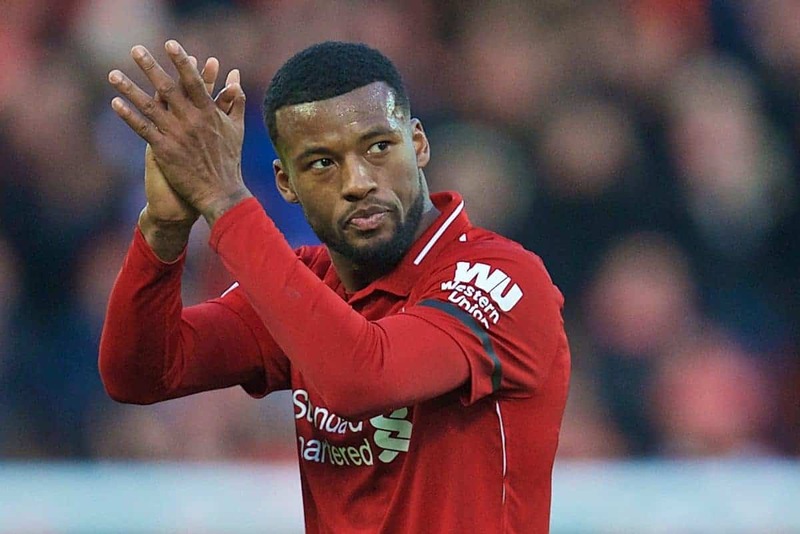 It won’t do any harm to give Wijnaldum a bit more rest so he’s ready for the game in Porto this week, which would be the ideal moment for him to return to the side. Gini’s form over the course of the season should mean that he gets the nod as a preferred starter when fit. His recent form may have created doubts over an immediate place—and perhaps ideally he should start from the bench, but there are other factors at play as well. Henderson’s recent form in the more advanced role will almost certainly mean he gets the nod. It’s similar for Keita with his good run of form but with next week’s second leg coming up, there is definitely going to be one change each time. Against Chelsea, I reckon it’s going to be Gini for Naby, with Keita probably starting in midweek. With Fabinho being the automatic choice and Henderson being the captain, it comes down to one slot. 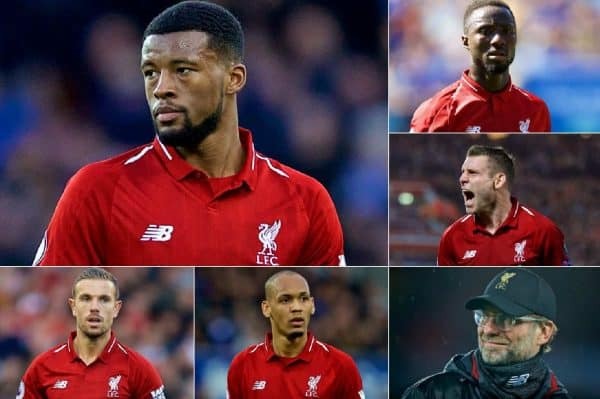 Klopp will probably take a safety-first approach and deploy Gini in a deeper role alongside Fabinho against Chelsea, freeing up Henderson to play further upfield. Naby will likely be the impact sub off the bench, coming on for Gini. There are two main reasons as to why I’d leave Wijnaldum sub for this match: one to do with him, one to do with the others. He’s comfortably been the best midfielder this term overall, but he has looked jaded of late and the nine-day break between Saints and Chelsea will no doubt do him the world of good. But he’s just watched two team-mates give their best performances of the season against Porto and leaving the Dutchman on the bench again sends a message: this is the form level required. 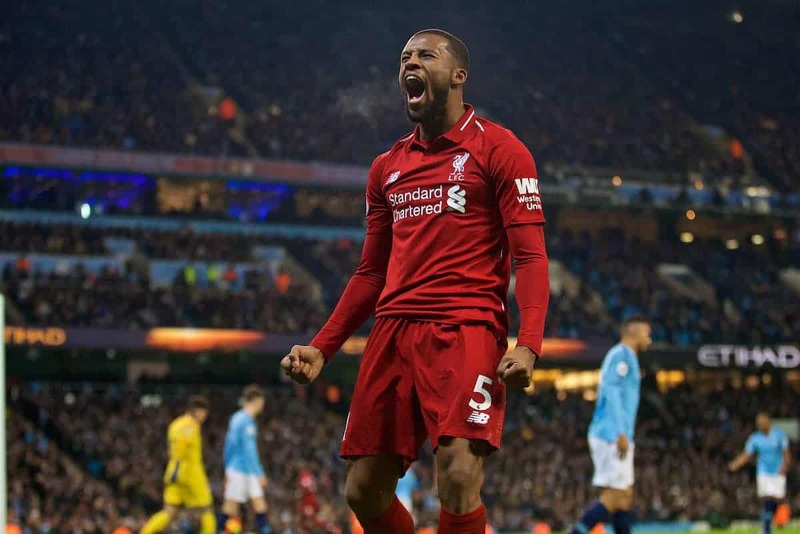 If the response is that Wijnaldum returns hereafter to his form of the first two-thirds of the season, we’ve got another high-quality midfielder to choose for the remaining, vital, matches of the season—which we’ll definitely need. For the other two, it would be harsh to drop them after such a big showing and probably particularly bad for Keita, who was entirely left out recently after looking like rediscovering form a couple of months back. They are in form, let’s use that. It’s unlikely they can both keep it up for another six or eight (or nine, hopefully!) games straight, but having a meritocracy in positions of high competition is important. Wijnaldum received two votes to start from the five, with a combined preferred midfield line-up for the Reds of Fabinho, Henderson and Keita. On the plus side for the Dutchman, he seems to be the first replacement option off the bench, with Milner not a consideration to start for our panelists for this match in particular. Agree with our panel? Leave your comments and preferred trio against Chelsea in the comments section below!